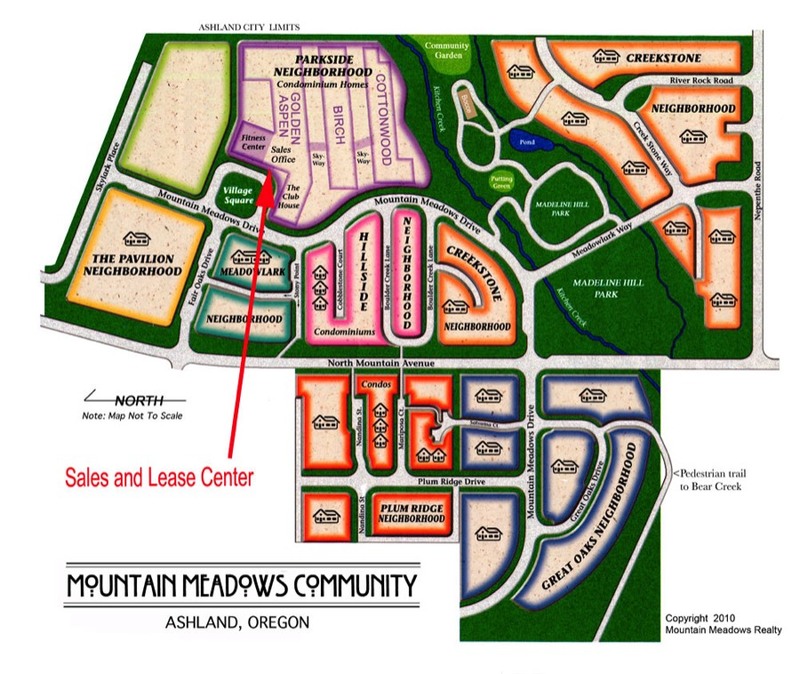 Mountain Meadows is located in the Rogue Valley of Southern Oregon . Yes, there really are mountains. And meadows. From our campus, you can see both the Cascade and Siskiyou ranges. The campus is 27 acres, including a private four-acre park with a pond, a creek and gently sloping walkways. The community contains 65 single homes and four condominium complexes with 165 homes.